The UK's continued support for the government of Bahrain is "counterproductive, misleading and unsustainable," with Britain's policies "shoring up" the Gulf kingdom, despite widespread human rights concerns, a new report has claimed. The report, released by the UK-based Bahrain Institute for Rights and Democracy (BIRD), claims the UK has become an "unconditional ally" of the Gulf Kingdom and is "damaging its credibility" on human rights in the process. 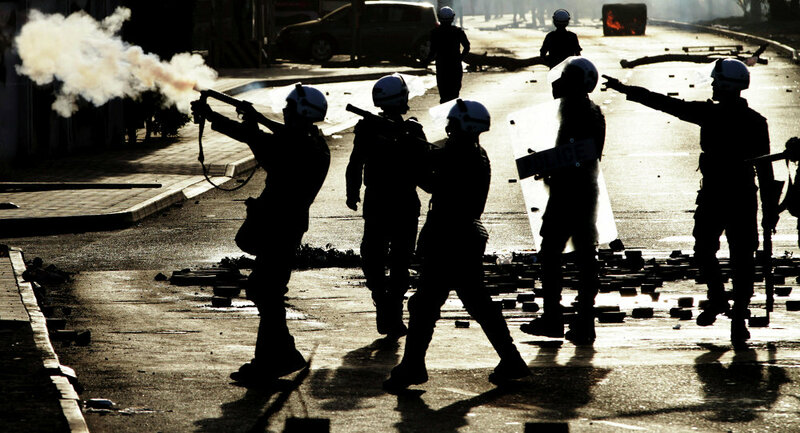 The research criticized British support for the Bahraini government in the wake of the Arab Spring protests in 2011, arguing that the UK's human rights assistance program has not led to a reduction in human right abuses. ​​Conversely the BIRD report claims that the "UK's positive rhetoric on Bahrain has had the opposite effect," citing UK Foreign Minister Philip Hammond's support for Bahrain's "commitment to continuing reforms." Using a Freedom of Information (FoI) request, the group also revealed that the Bahraini government is largely paying for a British Naval base currently under construction in the country, with BIRD describing the arrangement as a "gift." "Since the navy base deal, the UK has focused on reinforcing Bahrain's status quo. We have seen the Government of Bahrain acting with impunity, secure in the knowledge that the UK is indebted to them and will repay the debt by whitewashing their inhuman rights record," said BIRD director of advocacy, Sayed Ahmed Alwadaei. ​"The UK's technical assistance is part of this whitewash, which makes it a pointless misuse of tax payer's money. Britain is continuing to play a highly damaging colonial role to the Gulf." The increased support for Bahrain comes amid widespread allegations of human rights abuse committed by security forces in the Gulf country, with reports of protestors and political opponents being tortured. "This contradiction between deteriorations in Bahrain's human rights situation and the UK's praise of progress… is at the heart of a relationship which is sending deeply misleading messages on human rights in Bahrain and the Gulf," the report said. Re-arrest of Nabeel Rajab in #Bahrain, treatment of human rights activists, political opposition, matters of deep concern. ​In order to address the situation, BIRD has called on the UK government to publicly criticize any Bahraini regressions, suspend funding until investigations into torture claims are made, suspend arms sales and reject the "gifted" naval base construction. "The core issues which underpinned the Arab Spring are still unmet, and tensions continue to simmer under the surface. It is probable that these issues will resurge again in the near future, within the current term of parliament. If no shift is taken now, then the long-term credibility of the UK's human rights foreign policy is at stake."